"My attempt to kill 3 Protoss players with lings, hydras and lurks went down harder than a drunken 90-year old woman with a broken hip." 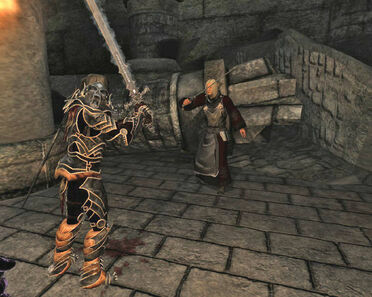 Nehrim: Fate’s Edge is both an outstanding Oblivion mod and a hell of a RPG. 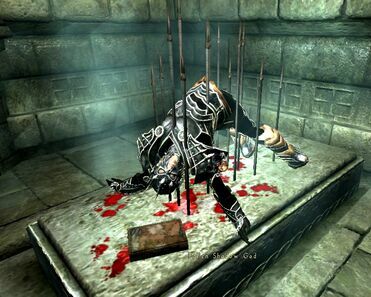 When it was released back in mid-2010 it set a new bar for elder scrolls games, thanks to its number of carefully integrated existents, including carefully balanced combat, a gorgeous watercolor art style, and eerie atmosphere penetrating enough to rival STALKER itself. But the thing that sticks with every gamer who has played Nehrim is the game’s dramatic, twisting storyline that carefully depicted a whole new world and then drastically turned it on its head. 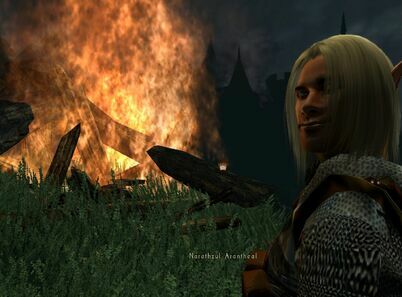 The man who facilitates this revolution against the laws of nature themselves dominates the storyline and burns his voice and likeness into the minds of every gamer is Narathzul Arantheal. It is impossible to discuss Narathzul Arantheal without discussing almost the entirety of Nehrim’s plot; his personality and character are so powerful that the entire plot is both anchored and steeped in his actions. As such, major spoilers follow. If there is one word I would use to describe Narathzul, it would be dangerous. Dangerous to his enemies, dangerous to his allies, and dangerous to those close to him. A thousand years before the events of Nehrim, Narathzul, aided by his friends Baratheon and Merzul, and backed by armies of Aeterna loyal to him, slaughters legions of Seraphim loyal to the gods and their allies, eventually slaying Erodan, head of the gods, a figure so powerful that even the capital city, Erothin, is named after him. Narathzul proves to be dangerous to his allies in the same way that medicinal alcohol is to the body when it applies to an open cut. Though Narathzul is very effective in resisting the tyranny of the Light-born mages, revolutions are always bloody, and Narathzul’s is certainly no exception, especially when it comes to shedding the blood of his close ones. Narathzul does not lead this rebellion out of a vacuum; he was, in fact, a Seraphim, sworn to protect the gods. 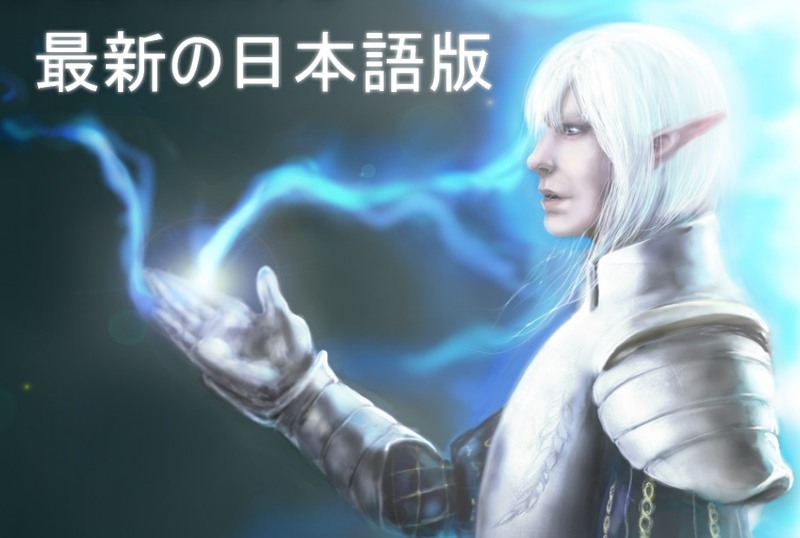 In fact, he is more connected to the Light-Born than just another Seraphim; his father is the captain of the Seraphim, second only to the Light-Born themselves. As such, it takes a long period of growing distaste coupled with a very strong emotional shock to cause Narathzul to hate the gods with an almost fanatical passion. Narathzul’s Causus Belli is very personal and complex; while he has come to increasingly dislike the Light-Born for their feudal treatment of the people of Nehrim, it is only when his lover Zelara dies due to the machinations of the Light-Born that he joins with Barateon and Merzul in a revolt against the Light-Born, eventually butchering his father, his only known remaining family member before killing Erodan himself. Appropriately enough, Narathzul is brought down not by one of his enemies, but instead one of his closest friends; Baratheon turns upon Narathzul and Arantheal, believing Narathzul’s cause to be hopeless in the long run against the might of the Light-Born, instead deciding to side with the powerful establishment. Crippled by Baratheon’s treachery, Narathzul is captured and imprisoned in a secret location, while Merzul hides, offering an underground resistance of mages. For his treachery, Baratheon is rewarded by the gods with dominion over the land of Nehrim itself, while the gods rule from the heavens above, revered as Gods by the people of Nehrim. Of course, this is a lot of exposition, but it’s delivered over time to the player over the course of three different chapters of the game. 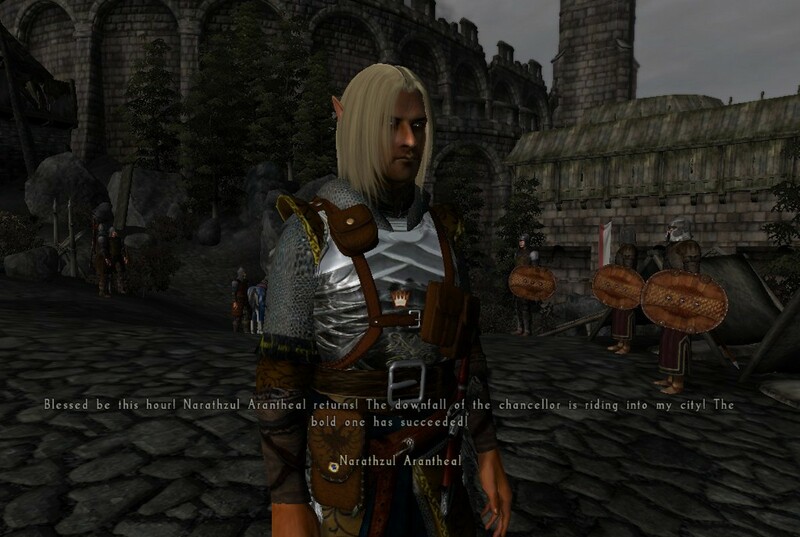 You see, Narathzul Arantheal is completely absent entire first two fifths of the game, his past acts of bloodshed casting an ever-lengthening shadow upon the game as you progress. And this is the game’s genius: since your character was not alive 1,000 years ago, every character you meet and fact you discover is a contingency; yet another piece of a large, intricate puzzle that you have to actually work to piece together; a puzzle with a very deadly secret to be discovered. The game’s tone changes to reflect this. Throughout the first two fifths of the game, you’re essentially a fugitive forced to hide your identity from the guards of Nehrim. To prevent any from usurping him, Baratheon has banned all magic from his lands and installed magic detecting bells within each of the cities that will alert the guards to arrest you should you cast magic in the vicinity of a city. The only friends in your resistance to Baratheon’s tyranny are your Order, lead by Merzul, as well as the far off Northrealm, which is engaged in a protracted and bloody war with Baratheon’s Middlerealm in defiance of his dictatorship. It is through this journey that you begin to meet new characters, with very little clue of their true significance, other than the vague notion that they are significantly and mysteriously more powerful than you are. 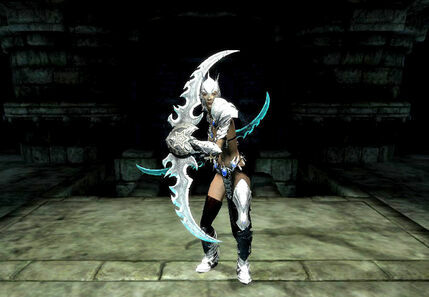 The first one you meet, while on a pilgrimage to Narathzul’s shrine, involves you teleporting to an alternate dimension where you meet a powerful being who refuses to name herself. She simply reinforces what Merzul will later tell you, that it is necessary for a shadow being to counterbalance the gods, who are actually Light-Born mages, on a level of cosmic significance beyond your “mortal” understanding. Merzul simply confirms and concretizes this being’s words, explaining that the only hope of defeating Baratheon and his Light-Born masters resides in Narathzul Arantheal. He reveals that a prophecy, the Predestination of the Tel'lmaltath, that foretells that a Tel'lmaltath, a Shadow God, will rise up every thousand or so years with a small chance to defeat the Light-Born and replace them as a ruler of Tamriel. 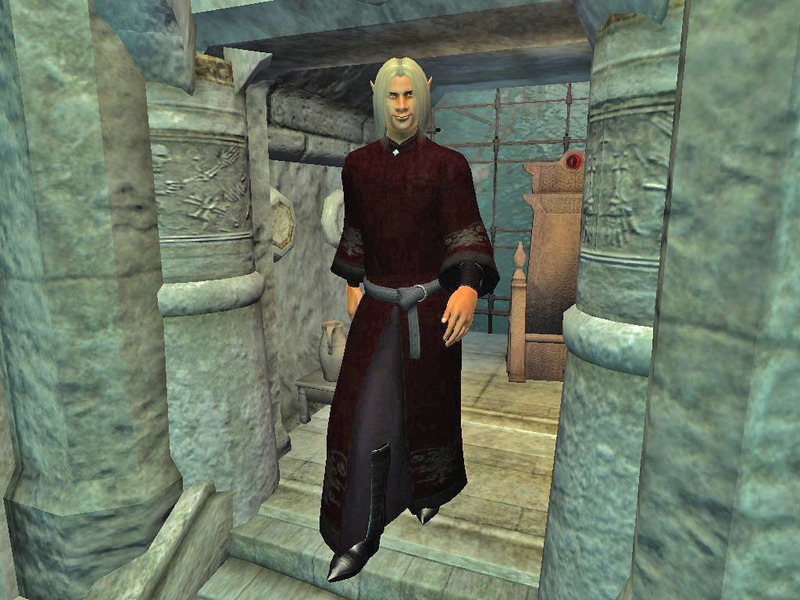 He informs you that the only person left alive with the potential to become the Shadow God is Narathzul, and that you must find him and release him from his hidden prison. This places things into perspective; the war between the Northrealm and Middlerealm is only a residual microcosm of the war between Narathzul and the Lightborn, with the Order and its allies having no chance until Narathzul is released. 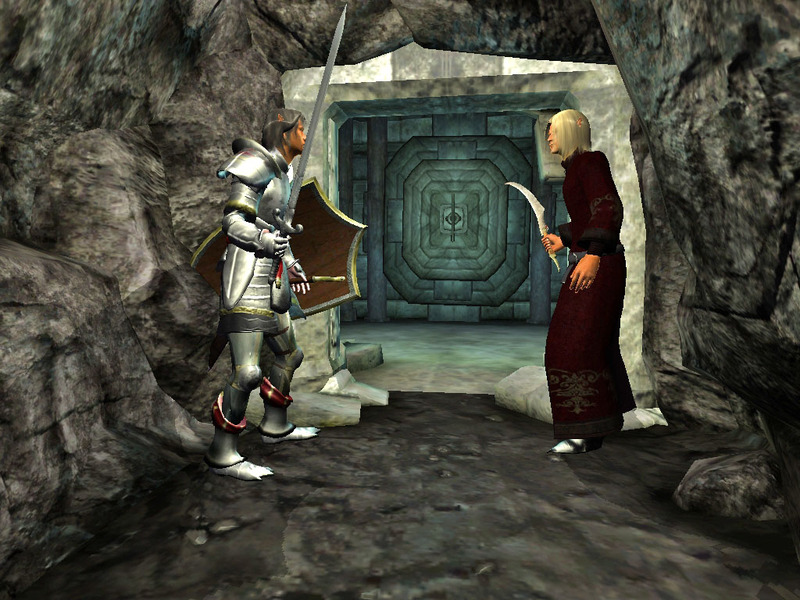 And so, the next major part of the game involves you traveling to Arktwend to communicate with Narathzul to discover his location, and then attempting to release him. When you first see Narathzul, you see him through a scrying glass. 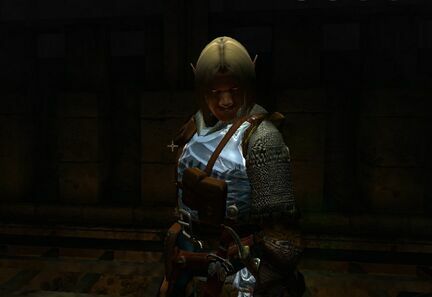 While learning of his prison’s location, your conversation is interrupted by another unfamiliar character, Arkt, who antagonizes Narantheal for murdering Zelara, whom both men appear to have been competing for. Narathzul retorts that Arkt corrupted her, indicating a very complicated history between Narathzul and Arkt. Both characters, however, act sympathetic towards you and your interests, Narathzul providing advice and a plan of action, while Arkt conveniently teleports you directly back to the Order’s headquarters, which are under night assault by Baratheon and his army. When you fight your way to the sanctum, waiting for Baratheon to destroy Merzul’s magical barriers, Merzul’s final line is one of philosophically endowed hope that resonates with the player; that no matter what happens, principles and other ideas move the world and will destroy Baratheon’s rule in the long run, with more mages secluded in the Northrealm mountains. Even when Baratheon heart-breakingly strikes down Merzul right in front of your eyes, boasting that the Order has always been merely tolerated for amusement, your commitment to finding the remaining allies of the Order and eventually releasing Narathzul only hardens, even when you are hauled off to a dank jail cell beneath the city of Erothin. After an emotionally wrenching escape from the dungeon, you travel to the Northrealm to meet new, though less friendly, allies of the order. While you play your part in stalling Baratheon’s advance by fighting battles for the Northrealm, your ultimate goal remains the same; releasing Narathzul. It comes to a head when your newfound sanctuary is besieged by Baratheon’s troops; it is then that you are tasked with embarking on the final journey of freeing Narathzul Arantheal himself. Only after traversing many obstacles, you’ll meet a few friends such as the dwarves and descend to many dark and strange places below the surface. Finally, you’ll emerge from the depths of the underworld with the feeling that you, the player, have risen in power to such a degree that you will have earned the right to finally release Narathzul from his prison and change Nehrim forever. That’s not to say that breaking into Fog Tower Dungeon is an easy task. 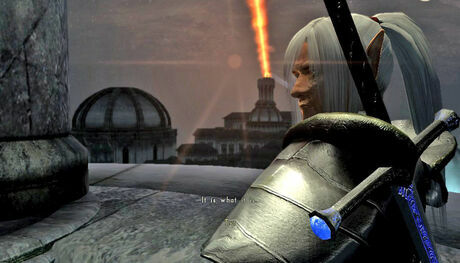 Far from it; you’ll be forced to fight dozens of Seraphim themselves, building up to the climax of Part III. The moment you first meet Narathzul is etched upon my mind: Narathzul sits upon a stone chair, facing through an iron-barred window that looks upon the sea. He speaks languorously, basking in his relief at the end of his thousand years’ imprisonment, and hardening his mettle for the bloodshed ahead. This is the greatest moment in gaming that, tragically, nobody knows about. There to whet Narathzul’s appetite is the captain of the Seraphim, whom you and Narathzul dispatch with ease. Narathzul crows in his triumph, contemptuous of the captain’s pitiful attempt to close the stable door after the horse has bolted. Because the horse you have helped bolt is a steed of the Apocalypse come to break the world in order to remake it. It is here that Narathzul utters his famous line: “fur die freiheid der menschen,” for the freedom of the people. And that is exactly what Narathzul sets out to achieve by conquest. 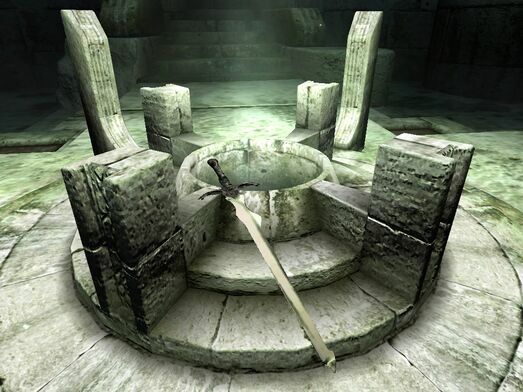 When Narathzul teleports you to the Soul Temple in order to retrieve the weapon, he explains to you the properties and significance of the blade itself and the temple where it is housed. It is here, he explains, that events occurred to turn him against the Light-Born. When the Light-Born tasked him and his lover Zelara with retrieving the Soul Flayer for its power to kill even the Light-Born themselves, everything went wrong. In order to monitor Narathzul’s ambition, the Light-Born forced Narathzul to allow Arkt to accompany them. Narathzul presents his side of the story, that Arkt is responsible for her betrayal, seducing her and poisoning her mind with falsities that Narathzul’s burning ambition was nothing but a desire for power. Narathzul found himself so enraged when he caught them in each other’s’ arms that he accidentally slew Zelara, though Arkt escaped. Narathzul explains the Soul Flayer’s unique ability to strip the souls of those it wounds allowed him to do more than merely kill Zelara and then Erodan, but also trap their souls in the blade for eternity. 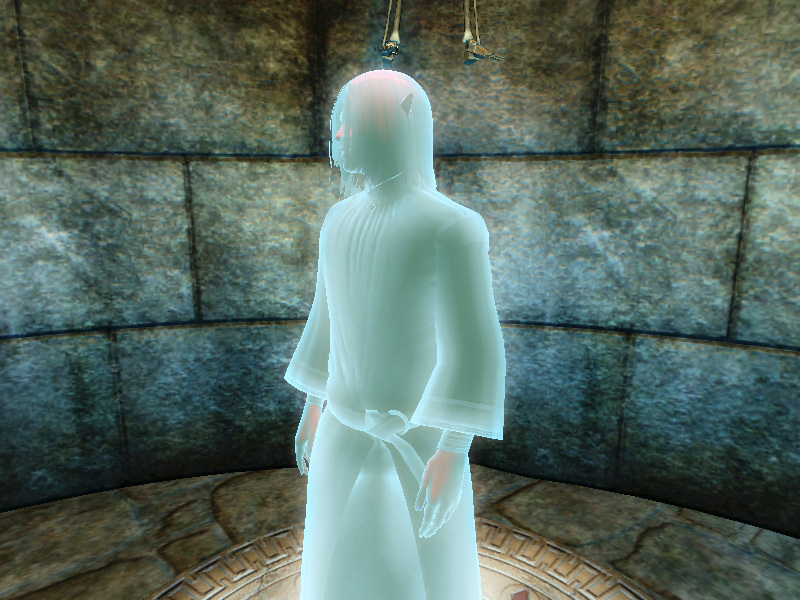 Wistfully, Narathzul admits that possessing the Soul Flayer will also allow him to once again be close to Zelara, to grasp within his hand once again. 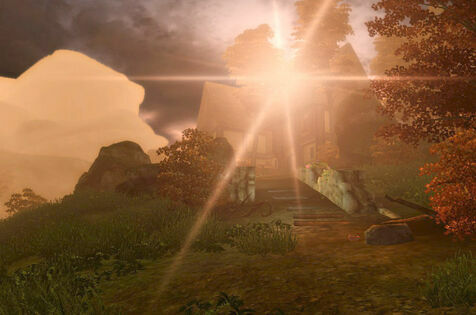 Arkt teleports in to check that Narathzul really does intend to defeat the Light-Born; Narathzul convinces him that this is what he intends to do, and Arkt vanishes once again. After acquiring the blade, the conquest begins, first by liberating the villages and forts of the Northrealm from Baratheon’s control, and then striking directly at Erothin itself. 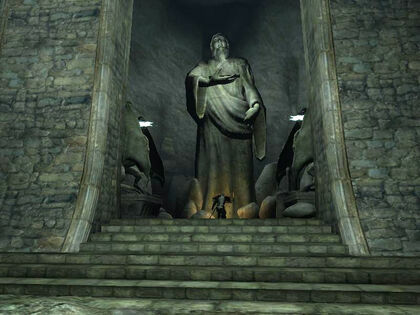 Narathzul leads a troop of Aeterna who have been waiting for his return, striking at the tower itself. Baratheon’s flight to the top of the tower is another scene to remember. Baratheon and Narathzul’s exchange highlight the crucial differences in philosophy between the two men. Narathzul has always been to some degree truly self-interested, looking at the long term, at how everyone would be better off without the Light-Born there to decree everyone’s fate. In opposition, Baratheon’s fundamental shortcoming is his inability to see past the immediate moment, his immoral and pragmatic betrayal of his friends in pursuit of concrete comforts and power from the Light-Born more akin to the psychology of an animal than a man. Again, he gloats that Narathzul is too insignificant to change anything for real, intoning, 'I may die now. The next will be you.' And, too scared of having his soul ripped from him by the Soul Flayer, he chooses a coward’s death, jumping off the Erothin tower to his death. Baratheon’s death is a rich and well-deserved one indeed; he is the first to be killed for his crimes, killed by Fate, the very thing he hoped would ensure his safety for life. When Narathzul sends you off to recover the actual prophecy of the Tel'lmaltath, which he hid away before his imprisonment, you experience for the first time the extent of Narathzul’s capacity for violence and suffering. Shackled to guard the prophecy itself are undead Seraphim, most importantly Taeleor, Narathzul’s father, who has been shackled for thousands of years in a state of undeath by his son. With all of Nehrim under his iron gauntlet, you both set off to kill the supposed gods themselves. Despite Narathzul’s darkening characteristics, your character feels obligated to go forth and aid him in killing the Light-Born, the ultimate goal of your questing thus far. After all but the two most powerful Light-Born, Tyr and Irlanda, have been killed, the big bombshell drops. It is there, in the ruins of Stormwend, on the isle of Arktwend, that Irlanda tells Narathzul that she is his mother, that here is no use in fighting, because Narathzul by consequence of his birthright can never be the Shadow God. Narathzul is reduced to the tantrum of a child, succumbing to the darkest depths of his mind as futilely tries to kill the last family he had remaining for no reason he can think of, no matter how justified her death might be. As Tyr and Irlanda teleport away, it is Arkt who teleports in to answer the question of who will be the shadow god of Nehrim: you, the player, will be. And so, he murders Narathzul with his own Soul Flayer, removing one of the remaining obstacles to your ascension as Shadow God and simultaneously avenging Narathzul’s murder of Zelara, resolving many plot threads in one go. 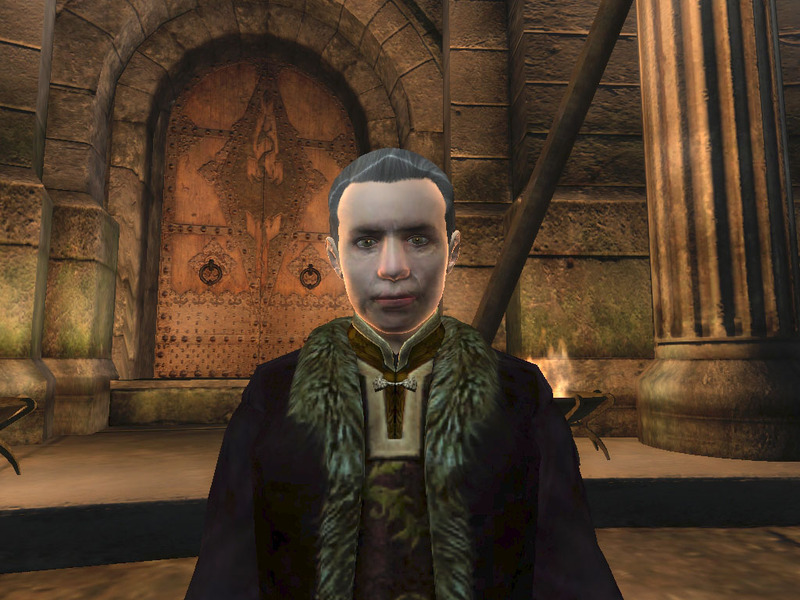 The role of the player character up until this point was analogous to that of the Champion of Cyrodiil in Oblivion; you’re the main hand man of Martin Septim, or in this case Narathzul Arantheal, though of course the plot and setting have been much different. Here it changes. No longer does the world revolve around Narathzul Arantheal; now, it revolves around you. However, this is not the last of Narathzul. After you slay the Tyr and become the Shadow God of Nehrim, you learn that Arkt does not wish to merely create a new kingdom that rests upon the whims of Fate, but simply to break the rules, to destroy Fate's gameboard so that future bloodshed and struggle between the Lightborn and Shadow Gods will be prevented. And to do this, he needs you to kill Fate herself. While you have absolutely no clue whether previous Shadow Gods and Light-Born have tried, you and Arkt set out to achieve the impossible with not one, but two Shadow Gods. Unfortunately, breaking the rules of the universe aren’t nearly as easy as one might hope; when you encounter the dead shadow god in the labyrinth leading to Fate itself, you learn, chillingly, that even as a god, you are still expendable at the whims of an even higher power. And you soon learn why, when the completely invincible guardian murders you. And there is nothing that you can do about it. You’re dead, game over. No, you’re worse than dead; your soul has been flayed and cast into Fate’s underworld for eternity. Except that now, you’re reunited with Narathzul. 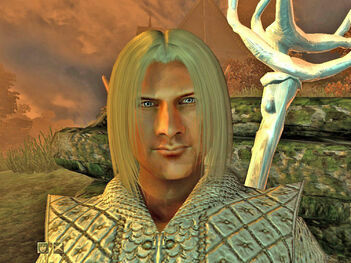 Being a complex character, Narathzul has cooled off and changed roles. Whereas he spent most of the game as a conqueror, he now sits and offers you advice like a sage; he’s been officially retired. He explains that at first, death was somewhat odious to him and he abhorred the emptiness. However, he learned to accept the new reality and adapt himself to the new world. 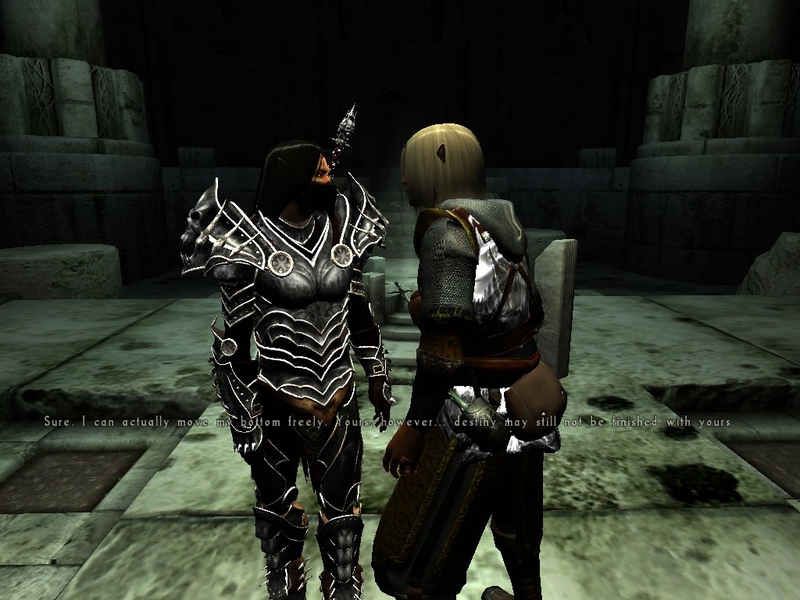 Your conversation with Narathzul in Afterlife is the most memorable conversation in the game. At this point, the story mirrors the trials of great Greek heroes such as Odysseus. When Odysseus ventured into the Underworld, he received sage advice from the deceased warriors he fought with such as Achilles and Agamemnon; in a parallel fashion, Narathzul presents you with his crucial epiphany- that your actions over the course of the entire game have been nothing but a ruse. No matter how many people you and he have killed, it’s all been a grand manipulation, a calculated game to sate some higher power’s amusement and power-lust. In the midst of the Soul Flayer’s shockingly calm, albeit unnatural world, Narathzul asks why has destiny ruined all his life, caused him killed his lover, and provoked his mother, Irlanda, to commit suicide. He feels saddened that Destiny let him believe that he could become someone and actually achieve something in his live, yet never intended to deliver. He realizes that he was just a plaything in the hands of Fate, just as you have been. 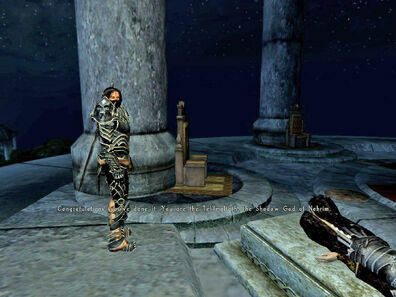 “Our actions can never exceed their immediate purpose- we are always bound to the rules that were created to make us lose.” A concrete example of Narathzul’s suffering at the hands of Fate, Zelara’s silent spirit bent over a fountain, refusing to talk to Narathzul or you, is heartbreaking. This engenders the question of how much Narathzul was to blame for his actions in killing her, and how much Fate is to blame for her death. The mangling of their relationship for nothing more than the twisted amusement of Fate only drives the player onwards to destroy the Guardian and thus return to their body. Narathzul shows you how to simply destroy the Fate's gameboard so that future bloodshed and struggle between the Light-Born and Shadow Gods would be prevented. 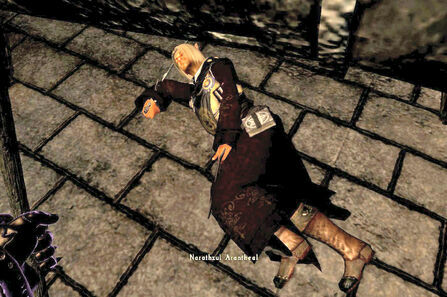 It is this moment that Narathzul says his final goodbye to you that you understand your place: as the new shadow god of Nehrim, you have finally outstripped Narathzul in every way; Narathzul’s death was Arkt’s doing, not yours. But though you yourself were slain, you are able to cheat death, unlike Narathzul. Like the great Greek heroes such as Odysseus, you have visited the land of the dead and returned to tell the tale. When you are resurrected and destroy Fate itself, you can only breathe a sigh of relief and feel sorrow for all those lives lost along the way. 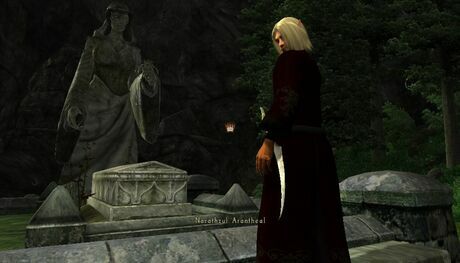 And though Arkt and you are now the true shadow gods of Arktwend and Nehrim, with Narathzul but a casualty on the path to freedom from the tyranny of gods and of Fate itself, you know that because of the blade clasped within your right hand, Narathzul is a character with character that will be with you forever.